its true that this phone is very fragile and it has sentimental value in the market..i still have mine..hehehe..my 1st cellphone ever!!! My dad is still using this phone day in day out to this very day!!! He is one of those people who wont change something if it is still working. I still have 3 of these fones,one in black,silver & blue and ALL are still working!! they have been sitting in the cupboard for years and if i ever need a spare fone they ALWAYS work without fail.They must be one of the best nokia fones that were ever made. This is a wonderful phone. It worked quite well in its time. Very successful in the Philippines. I love this classic. Anonymous, 11 Nov 20105110 sucksofcourse not it swallows!!! Abhishek Chaterjee, 09 Dec 2010 This is probably the only phone an Indian can afford with that lifestyle of theirs we indians are not idiots were smart phones! ok ok! Anonymous, 07 Dec 2010The best phone ever and i still have mine since 1996 and its still working good after about 13... moreIn 1996 this phone didn't exist. So you could not have been using it then. christoper espiritu, 21 Nov 2010i love this phone compare to iphone4! i sell my iphone4 just to have this!!!! i love 5110!!!!!... moreThe best phone ever and i still have mine since 1996 and its still working good after about 13years.OLD SCHOOL is the best and always will be. 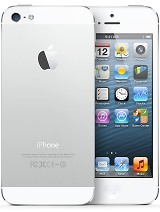 i love this phone compare to iphone4! i sell my iphone4 just to have this!!!! i love 5110!!!!! 4 lifE!!!! haha there was an incident 10 years ago and I was really drunk I accidentally dropped my 5110 phone into the toilet. I took it out from the toilet and managed to wash it from a running water... but "pooofff" it's amazing! it is still working!